The Philippines is one of those underrated travel destinations in South East Asia, but it is actually a gold mine of breathtaking beaches. With 7,107 islands, you’ll never run out of beaches. Here are our top 15 choices of Philippine Beaches you can spend your Christmas holiday. Aah, Boracay. That not-so-hidden gem of an island with powdery white beaches and clear azure waters. Boracay offers the best of both worlds, whether you prefer a serene stay lounging on the beach or a feisty bar hopping night in its bar district. Don’t forget to try out the waters; swim and dive to your heart’s content. Enjoy your share of nature and culture while enjoying the beaches of Pagudpud in Ilocos Norte. Aside from the clear waters, there are other attractions along the shore such as the Bangui Windmills, the Cape Bojeador lighthouse, and the Kapurpurawan rock formations. Cap your day off chilling in a hammock by the beach. Talicud island is part of the Island Garden city of Samal, a few minutes away by boat from Davao City. Talicud is perfect if you prefer a bit of peace and quiet, since it is a relatively secluded beach. It offers top notch diving and snorkelling sites, so be ready with your underwater cameras. Tiamban is very accessible from the town of Romblon, but still manages to be very private and secluded. Enjoy peace and quiet along the gentle shores. There are available rooms to spend the night in, but we suggest you try camping under the clear night skies of Romblon. Panglao beach in Bohol offers the full vacation experience. You can choose from the different beach resorts around, each one offering access to the picturesque beach. You can do a variety of water activities like swimming or diving, but the crowning jewel of activities here is the dolphin watching. A plane ride away from Manila, Dakak is one of those unexpected finds, nestled between mountain and ocean. Dakak used to be a beach only resort, but it has now expanded to include a golf course and an adventure zip line to cater to your adrenaline needs. Bantayan Island in Cebu is a great addition to your beach inventory. Rent a boat and hop around in the surrounding islands, then stop for lunch and a swim around Virgin Island. You might also want to try swimming in the caverns of Ogtong cave. Twin Beach delivers what its name promises: beaches on either side of a strip of land. Nacpan is where all the beach life is, where you can lounge around and read a good book. Calitang is more dedicated to fishing, but that’s good because you avail of the day’s fresh catch. The long boat ride to Calaguas might be off-putting, but once you step on the powdery sand, you’ll think that the effort was worth it. It’s an isolated in the northern part of Bicol, which means there are no hotels around yet. Pack your camping bags if you want to stay the night. Anguib in Cagayan is touted as the “Boracay of the North” with its white sand beaches and shallow waters that is perfect for wading around. Aside from the usual beach activities, you can also try kayaking around. It’s still relatively undeveloped, so bring a tent if you want to stay the night. One of the most visited attractions in Zamboanga City is the Great Sta. Cruz Island. It is located just about 20 minutes by boat from Paseo del Mar. 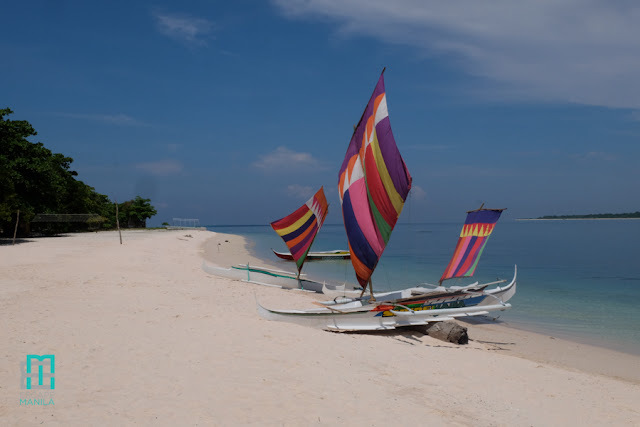 It is a protected area and is home to the famous Pink Sand Beach of Zamboanga. Entrance to the island is P20, terminal fee is P5, and cottage rental ranges from P100 – P500 depending on the size. Boat rental to and from the island is P1000 good for 1-10 passengers. For inquiries, you may call 09272835684. Make sure to be responsible while visiting the island. Bring your trash back to the mainland. If you want something off-beat, then Malamawi White Beach is the place for you. It’s a stone’s throw from the port of Isabela City, the capital of the province of Basilan. It’s a piece of a secluded paradise. A place where you can relax and revel in the sun, sand and the sea. It is located in the town of Sta. Ana, Cagayan. Nangaramoan Beach’s crystal blue water will surely take your breath away. It’s also a perfect place to enjoy the night if you are visiting Palaui Island. Located in Mansalay, Oriental Mindoro, is an ideal place for family and group getaways. Open cottages, benches and bamboo tables are available for the beach goers. Whether you’re looking for an adventure on the waves, romantic sunsets or a family friendly swimming spot, Mansalay beach has it all for you to relish. Puraran Beach is a popular surfing site and an isolated cove in the town of Baras, Catanduanes. Whether you are a surfer or just a beach lover, Puraran is a good place for you since it offers both a surfing and a beach bumming spots. 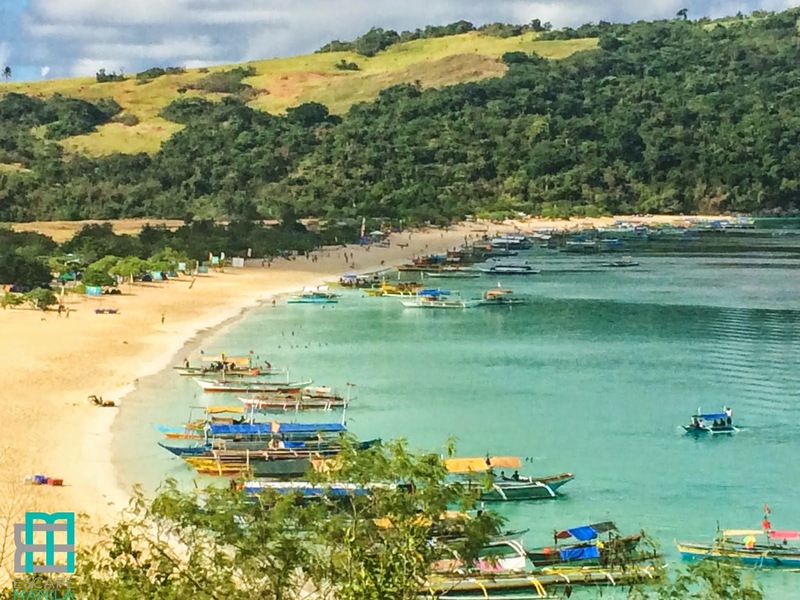 So there’s our top 15 beaches in the Philippines to visit this holiday season. So pack your sunscreen, because you’ll never run out of beach fun in the Philippines.